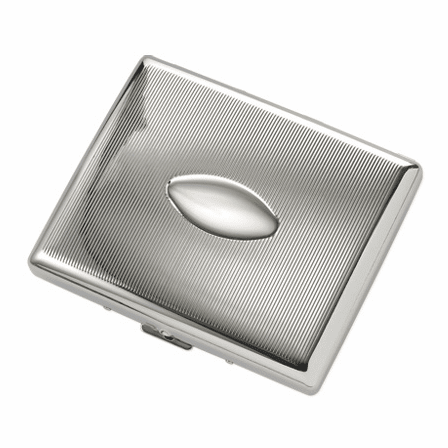 FEATURES/SPECS This engravable cigarette case has a sleek, modern look that is sure to please any smoker with a flair for style. 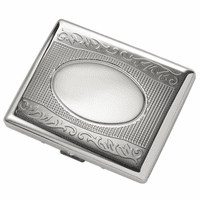 The front cover features a polished silver vertical stripe design that frames a mirror finish oval engraving plate. 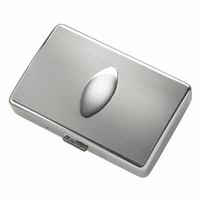 It holds up to eighteen king-size (standard) cigarette. 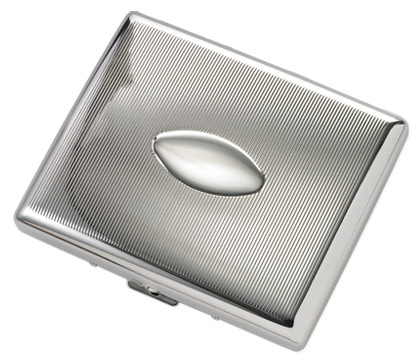 This metal cigarette case opens with the push of a button. 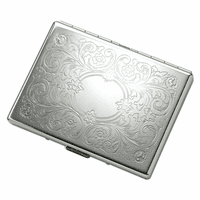 It comes packaged in a gift box and ships out the day after your order is placed. Dimensions:3 1/2" x 4 1/8" x 11/16"